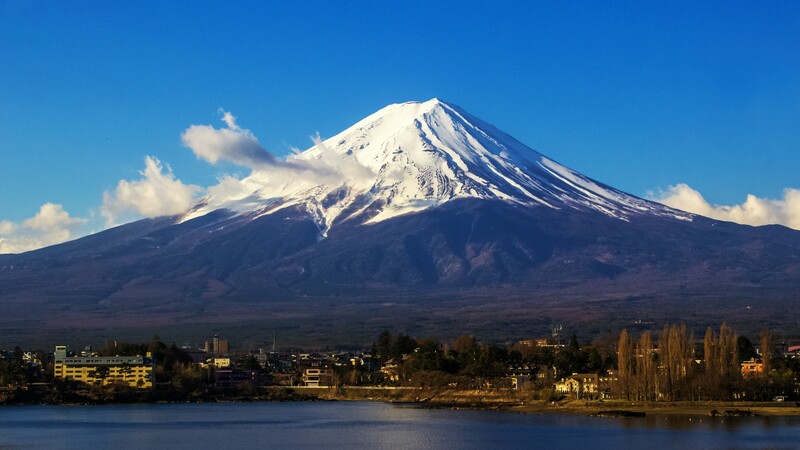 Want to conquer Japan’s most iconic mountain? It’s easier than you might think. You don’t need pro-level climbing skills or special equipment to get to the top of Japan’s highest and most revered mountain – just a bit of planning and endurance. Mount Fuji’s official climbing season runs from July 1 to August 31, with countless locals and visitors making the hike to the summit each summer. There are six designated routes up the mountain, each of which is divided into sections known as stations. Most hikers take a bus from Tokyo to Kawaguchi-ko fifth station, from where it’s about a six hour trek to the summit. The most popular timeline sees visitors beginning to hike in the early afternoon, resting for part of the night near the summit and then waking up before dawn to trek to the top in time for sunrise. Around a dozen mountain huts provide basic accommodation for visitors who choose to do the journey this way. Waking up with dozens of other hikers in the wee hours of the morning and trekking to the summit by the light of headlamps is a unique and rewarding experience, plus the sunrise views are nothing short of stunning. Want to share a cool snap you took on vacation? Email jessica.huras(at)escapism.to for a chance to be featured in our next Hot Shots.